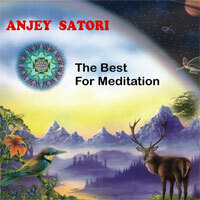 "The Best Music for Meditation"
Music of Anjey Satori is intended for meditation, healing and practices of inner travels. Each piece of music creates a harmonious balance of music and spirituality. Relaxation music and meditation music. Stopping the internal dialogue, stress management, harmonization.